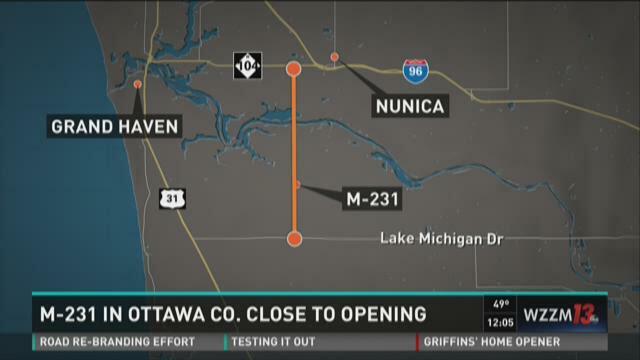 OTTAWA COUNTY, Mich. (WZZM) -- A new Michigan highway is set to open by the end of the month. The seven-mile long M-231 highway will connect I-96 to Lake Michigan Drive, providing an alternative north and south route to driving through Grand Haven on U.S. 31. Friday morning, the Michigan Department of Transportation dedicated the pedestrian and bicycle pathway on M-231's new Grand River bridge to the memory of Sergeant Henry E. Plant. 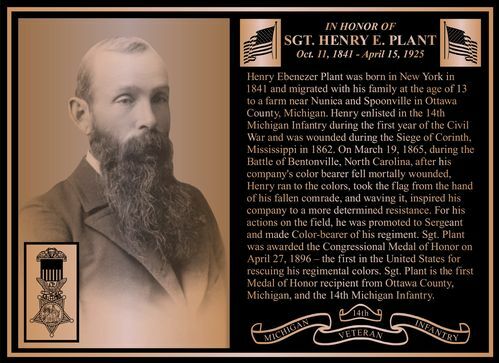 Sergeant Plant was a Civil War soldier and the first service member from Ottawa County to receive the Medal of Honor. Next week, MDOT will dedicate the new highway during a special ceremony at the Grand River bridge. M-231 is intended to ease congestion on U-S 31. The highway is set to open to vehicular traffic on Oct. 30.